Sharon, Lynn - Groelle & Salmon P.A. Ms. Sharon began her legal career with the Broward County Public Defender’s office, litigating a myriad of criminal matters from misdemeanors to complex felony cases. 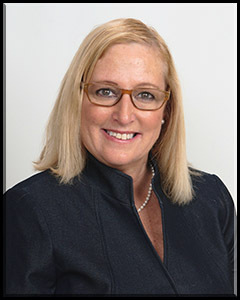 After her career as an Assistant Public Defender, she entered private practice with an insurance defense firm in Palm Beach County, and gained years of litigation and trial experience defending a broad spectrum of disputed civil issues from construction defect and related building damage disputes , to premises liability and slip and fall personal injury liability and other accident tort claims, to medical malpractice claims, on behalf of several insurers. Lynn Sharon has handled numerous insurance defense litigation matters to verdict, in both state and federal courts. More recently, she has also had the opportunity to handle numerous first party property damage claims and losses in litigation. She is licensed to practice in federal court in both the Southern and Middle District of Florida as well as all Florida State Courts. Ms. Sharon is a also member of the Animal Law Committee of the Florida Bar and has published articles relating to legal issues associated with animal protection.